CHICAGO — At the end of 2017, the U.S. Congress passed, and President Donald Trump signed into law, the Tax Cuts and Jobs Act (TCJA). The Act cuts taxes on individuals and businesses in hopes this will stimulate the economy and create jobs. It’s the first major overhaul of the tax system in more than 30 years, which means everybody will experience changes in taxes starting this year. American Laundry News was able to get a few minutes at the start of the busy tax season with Mike Slack, lead tax research analyst at The Tax Institute at H&R Block, to offer a first look at what TCJA will mean for laundry and linen service businesses. Q. Overall, what are some of the key changes in the Tax Cuts and Jobs Act? Slack: The reduction in the tax rate for C corporations, the elimination of the corporate AMT (alternative minimum tax), and the new 20% deduction from business income for pass-through businesses are likely the most impactful TCJA provisions for business. One of the more significant new law provisions cuts the tax rate for C corporations to a flat 21%. Before the TCJA, the tax rates for C corporations were graduated, starting at 15% for taxable income up to $50,000, with rates at 25% for income between $50,001 and $75,000, 34% for income between $75,001 and $10 million, and 35% for income above $10 million. The TCJA also eliminated the AMT for corporations starting in 2018. That being said, businesses with AMT credit carryforwards may continue to partially use those through 2021. For businesses that are not operated as C corporations (i.e., sole proprietors, partnerships and S corporations), the TCJA establishes a 20% deduction of their net income. This deduction is essentially a 20% “haircut” off the top of a business’ otherwise taxable profit, as it requires no additional capital outlay on the business to be eligible. The deduction becomes limited once income levels exceed $157,500 ($315,000 for joint return filers). There is an additional limitation for businesses in certain service-type industries. However, this limitation would not apply to linen and laundry service providers. It should be noted that the 20% deduction will expire at the end of 2025 under the law as it is in place today. Q. For 2018, how will laundry and linen services be affected? Slack: Businesses operating as C corporations are likely to see a more favorable tax bill overall due to a flat tax rate of 21%. At the same time, they will also have new or expanded tax benefits that will mean they should re-evaluate their tax planning and strategies to make sure they’re getting the best outcome. Q. How does the Act affect capital purchases of equipment? Slack: The TCJA greatly expands bonus depreciation. Under the new law, a 100% first-year deduction is allowed for qualified new and used property acquired and placed in service after Sept. 27, 2017, and before 2023. The prior law only provided for a 50% allowance, to be phased down for property placed in service after 2017. However, under the new law, the 100% allowance is phased down starting after 2023. The law also increases the maximum §179 deduction from $500,000 to $1 million for qualifying property. The phase-out for the deduction was also increased. Q. What will it mean for payroll, insurance and other line items in their budgets? Slack: As the TCJA eliminated personal exemptions, this will require many employees to update their Form W-4 withholding allowances. The IRS released the new tables in February, and employers must adjust the withholding from their employees’ checks to account for the removal of those personal exemptions. The new law makes no changes to applicable large-employer mandate with regards to rules for employer-provided health insurance. Q. What will the Act do in 2019 and beyond? Slack: Going forward, the only real permanent business provision of the TCJA is the lowered tax rate for C corporations. While most of the provisions will remain in one form or the other, most will eventually “sunset” back to the pre-TCJA rules, typically after 2025. Q. What parts of the Act are in favor of larger laundry and linen services? What will have negative impact and how? Slack: There are many variables in the law that will impact each business differently. The new tax rate for C corporations, the elimination of the corporate AMT, the new 20% deduction for pass-throughs, and expanded capital expensing options will have a positive impact. On the other hand, reductions in the ability to claim net operating losses and repeal of meal and entertainment expense deductions could have a negative impact. Q. What strategies would you recommend for a laundry and linen service to best utilize the Act for business and the benefit of employees and customers? Slack: With the wide range of aspects of the TCJA and the fact that the application of the rules can depend upon the size and type of entity, it is always advisable that one discusses their situation with their tax adviser, as everybody’s situation is different. Q. Some of our readers run/manage smaller, on-premises laundries. Will the Act impact them in the same way as the larger operations? Or will it be more “business as usual” for them? Slack: The law generally applies the same across the board with regards to small to large businesses. However, smaller pass-through businesses will enjoy the benefit of the additional 20% deduction to a greater degree. There are also a number of changes to the individual tax return that will impact virtually everyone. Information in this article is provided for educational and reference purposes only. It is not intended to provide specific advice or individual recommendations. 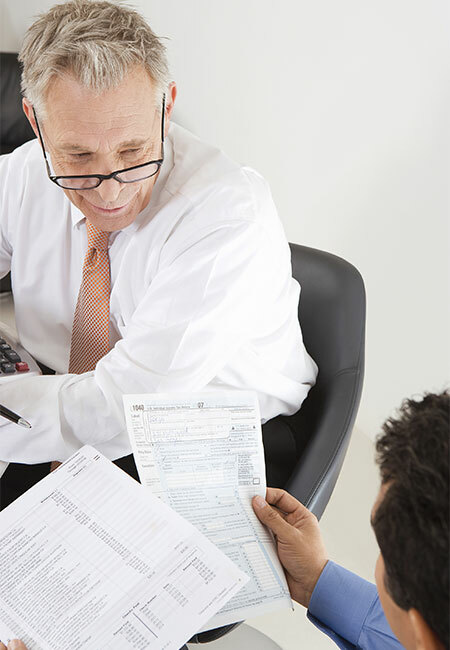 Consult an attorney or tax adviser for advice regarding your particular situation.